Big Thank you to our Donors+Supporters! Home/Uncategorized/Big Thank you to our Donors+Supporters! Behind every donation there is someone with a big heart and lots of compassion. 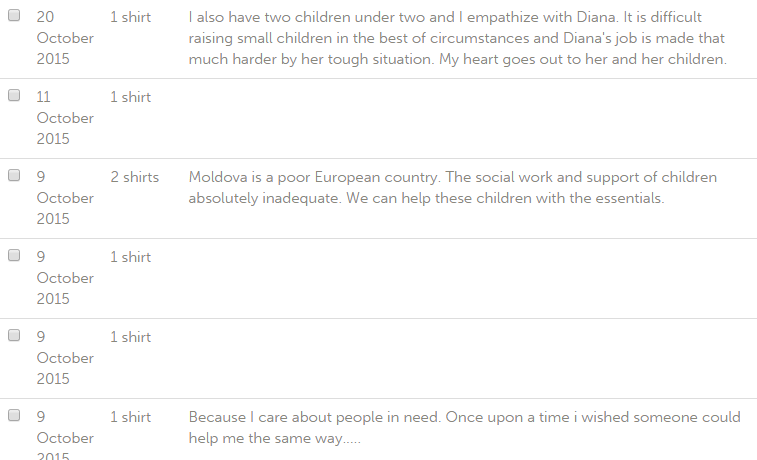 Below are some of the encouraging comments donors have left. To everyone who is supporting Love is Kind – THANK YOU. If haven’t gotten a chance, but would like to help out, there is still time to do so at:GoFundMe, or purchase a t-shirt on Booster.com.